Elon Musk apparently is charting his way out of what he’s referred to as “delivery logistics hell” by making acquisitions and lining up contracts with trucking haulers. The Tesla CEO tweeted Nov. 15 that Model 3s ordered in the United States by the end of the month will be delivered by year-end. He wrote that using trucks instead of rail shaves more than a month off the time it takes to get cars to the East Coast. When asked to elaborate on how Tesla arranged for more capacity, Musk said the company made some acquisitions of trucking companies, without being specific. Musk, 47, tweeted repeatedly in September about how Tesla was having trouble smoothly getting Model 3s to customers. On Sept. 24, he wrote that the company had gone so far as to start building some of its own car carriers. A Tesla spokesman declined to comment when asked which trucking companies the electric-car maker bought or arranged contracts with. 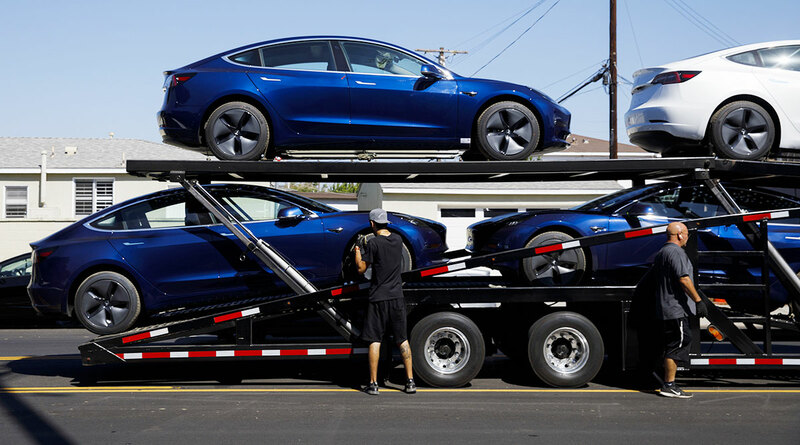 Guy Young, the general manager of the Auto Haulers Association of America, said he hadn’t heard of any acquisitions involving Tesla.